If you’re interested in enrolling in our piano classes please contact us by phone or via our contact form. The piano is one of our most popular instruments to learn as not only can you produce beautiful music, it is also a useful tool for increasing cognitive development and improving motor skills and hand-eye coordination. We accommodate students of all ages and skill sets and can help you develop into playing your preferred style of music whether it is jazz, classical, theatre etc. Through our tuition, students will gain a strong understanding of piano practices and theory thanks to our effective teaching programmes. Motor Skills - playing the piano can improve both your motor skills and your hand-eye coordination. It is particularly useful for children who are still developing. Intellect – playing the piano has also been proven to boost cognitive and intellectual capabilities as it activates similar parts of the brain used in spatial reasoning and math. 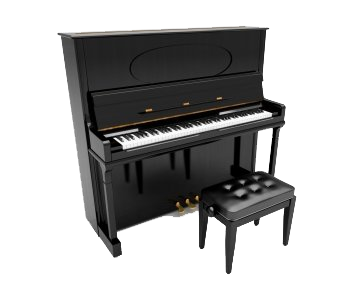 Piano has also been shown to improve memory. Calming – studies have also shown that playing the piano can have a positive effect on your mental health, reducing anxiety and stress.